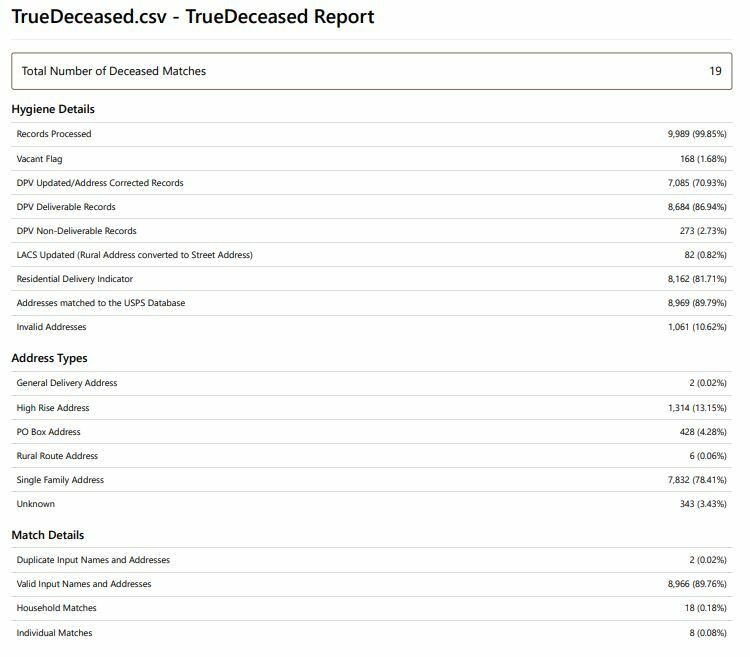 TrueDeceased deceased data services provide a helpful final check to start the year off right. Our deceased data service helps you to determine if there are recently deceased members of a household on your file before you perform outreach. A "deceased match" occurs when we identify one of your records on one of multiple deceased data sources including: consumer opt-in, Social Security Administration, and other public web sources. Matches often mean that you've been trying to communicate with deceased individuals, which can damage your brand and relationships.